From commercial to high-end residential projects, we collaborate with our clients to design and create floor plans and renderings that accurately represent their ideas. We employ a highly-skilled team of professional carpenters to provide exceptional service, rather than relying solely on specialty contractors, which allows us to keep a close eye on every project. With nearly 40 years in the business, we have developed strong relationships with talented architects and interior designers to offer our clients the whole package. 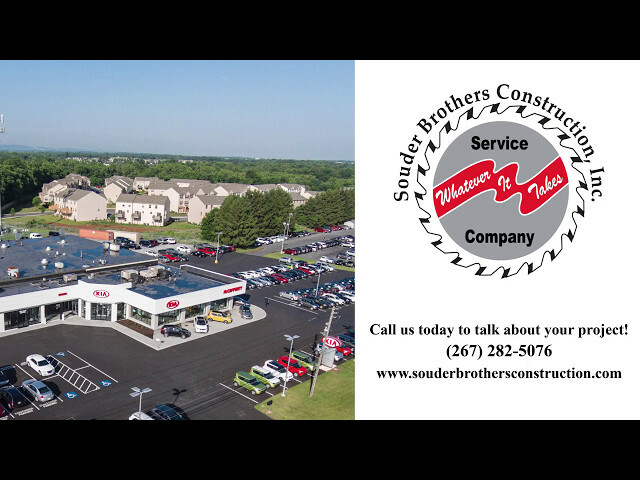 For nearly 40 years, Souder Brothers Construction (SBC) has provided a full range of services for commercial and high-end residential construction projects. Whether we’re renovating a car dealership, building a 7,000 sq. ft. addition, or remodeling a kitchen, we take great pride in our versatility and ability to adapt to our clients’ needs. Based in Horsham, PA we serve customers throughout southeastern Pennsylvania and western New Jersey. Decades of experience have given us expertise in planning, construction, and post-construction services for clients in the commercial, industrial, pharmaceutical, educational, residential, and retail construction markets. Want the latest and greatest from our blog straight to your inbox? Send us your details and get an informal quarterly email.